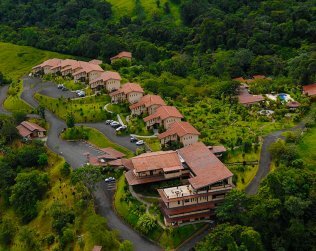 Like a bird that flies through the tree tops…That's the way you will feel doing one of the best canopy tours in Arenal, a perfect combination of adventure, nature and adrenaline, at the foot of the majestic Arenal Volcano. 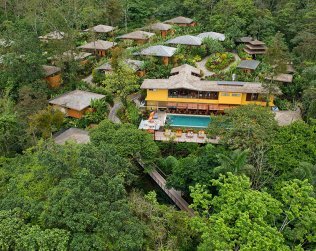 Ecoglide Canopy Tour is located in one of the most visited towns of the Northern region of Costa Rica: La Fortuna, San Carlos; a privilege location, amidst a primary rainforest. 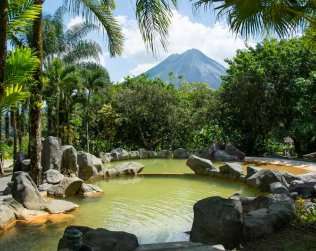 This zip line tour in Arenal offers high standards of security such as the use of two separate zip line cables; the first is the one you ride on and the second one is for extra safety precautions. Guides will give you the needed equipment and you will receive all the necessary instructions to enjoy this Arenal canopy tour in a safety way. 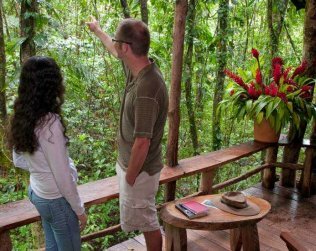 During the whole tour, guides from Ecoglide Canopy Tour will also talk about the plants and animals that you may observe in the forest, like monkeys, snakes, sloths, frogs, peccaries, raccoons and a great variety of birds. This zip line will take you through 13 zip line cables of different lengths, starting with one measuring 25 meters long. Cable number 12 is the longest cable and it is 430 meters long. Also, at the end of cable number 8, a unique, exciting and full of adrenaline jump will challenge you: the Tarzan Swing! 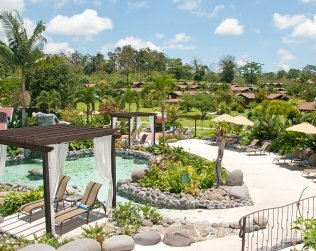 This experience is perfect for relieving daily stress and experience new sensations that you have never felt before. 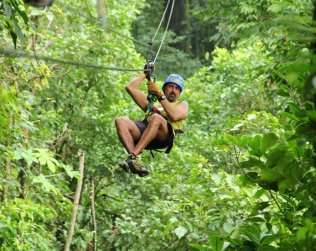 Ecoglide Canopy Tour includes: transfers, guide, equipment and drinks after the tour at the reception area. What to bring? Long pants, closed shoes, sunscreen and insect repellent. Duration: 1H 40 minutes approximately.